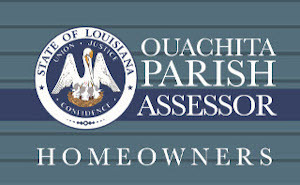 Welcome to the Ouachita Parish Assessor Website! I hope you find it a useful resource for practical information about property values and the assessment process. 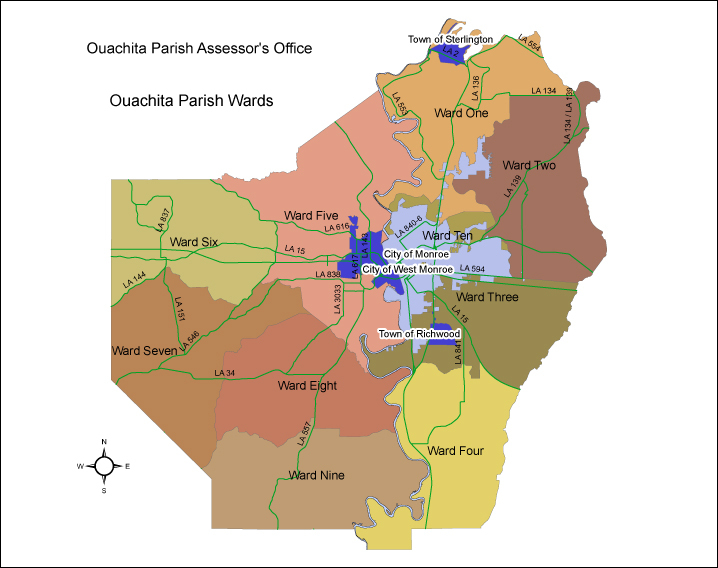 Your Assessor’s office is charged with the responsibility to identify and value all property within the Parish of Ouachita. Fair taxation has always been and always will continue to be vitally important to every taxpayer in the Parish. Correct property assessment provides our local governments, law enforcement, schools and others with the funds they need to maintain, improve and repair our infrastructure, protect us from crime and educate our children. 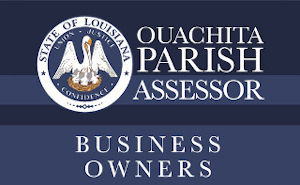 As your Ouachita Parish Assessor, my staff and I will continue to be an office that makes a difference. Our mission is to be the best public servants, giving our best efforts, for the very best community – always striving to be better. This is your office and we are here to serve you! Proven Experience and with over 25 years comprehensive knowledge of the financial management and fiscal responsibility of the tax dollars that fund the Assessment District. Assessment Administrative Specialist (AAS) designation from the International Association of Assessing Officers (IAAO) since 2011. Currently serves on the Board of Directors for Louisiana Assessors' Association (LAA) and is a member of the LAA Legislative Committee. Formerly served as Trustee for the LAA Retirement Fund for over 15 years and two terms on the LAA Insurance Committee. Member of IAAO for over 25 years. 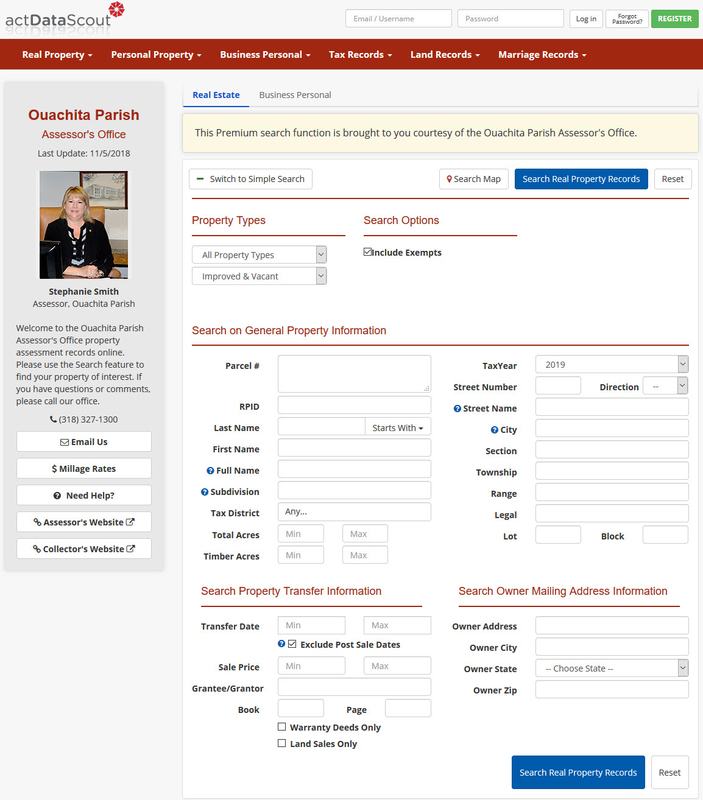 Ouachita Parish's real estate records are available online and free to the public. Search records using a variety of different search criteria such as name or address. Homestead Exemption allows up to $7,500 ($75,000 Market Value) to be exempt from paying Parish taxes. This exemption does not apply to Municipal (City) taxes. You own and reside at the property in question, and are not signing homestead on any other property. Only one homestead exemption is allowed. La. Law limits married couples to one homestead exemption per couple. The property is not being purchased under a contract where the seller maintains ownership until the contract term ends (includes Bond-for-Deed transactions). Additional Homestead Exemption is available to Disabled Veterans and Surviving Spouses of certain law enforcement or emergency responders killed in action. For full details, contact our office. Homeowners who are 65 years or age or older, or have a permanant full disability. A surviving spouse of a military service member killed or missing in action, or a prisoner of war exceeding 90 days. Veterans who meet income requirements and/or who have a service-connected disability rating of 50% or more. A SAL "freezes" your taxable value of your homesteaded property and keeps it from increasing when market values increase. Contact our office to see if you qualify.